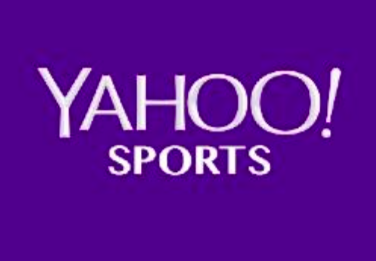 The National Football League (NFL) announced today that it has selected Yahoo! Inc. (NASDAQ:YHOO) as its exclusive partner to deliver the first-ever live stream of an NFL game to a global audience across devices and for free. This partnership will bring the NFL’s International Series game in London, between the Buffalo Bills and Jacksonville Jaguars on October 25, to Yahoo properties globally, including Yahoo, Yahoo Sports, Yahoo Screen and Tumblr, which attract more than one billion monthly users. With this partnership, the NFL will extend its digital presence, making some of the most valuable content in sports and entertainment available across multiple digital platforms free for all users. The NFL is leveraging Yahoo’s global audience, digital advertising capabilities, and delivery platforms, which span desktop, mobile, tablet, connected TVs, and set-top boxes, to ensure that the Bills-Jaguars game is accessible on every screen globally. In keeping with the NFL’s long-standing commitment to make its games available on free, over-the-air television, the game will also be televised in the both the Buffalo (WIVB-TV) and Jacksonville (WTEV-TV) markets at 9:30 a.m. ET. It’s a historic announcement in many ways. NFL games are the most valuable television rights property in American television. And while the digital age is well and truly upon us, and has been for some time, seeing an NFL game being streamed on the internet is the digital version of crossing the Rubicon. And lest you think that the NFL is just willing to give this game away for some kind of experiment, CNN reports that this single game will cost Yahoo a cool $10 million for the rights. That’s a lot of money to pay for the rights to Blake Bortles vs E.J. Manuel. According to SBJ, CBS will handle the production and announcers for the game as that’s where the contest would have been televised. We’ve always wondered when the day would come that streaming giants like Yahoo, Google/YouTube, Apple, and Netflix might get involved in streaming live sports and bidding for rights packages. While we might still be several years from that becoming a reality and those platforms becoming a consistent presence on the sports rights scene, it has to begin somewhere. October 25th will be that day when major internet and streaming companies officially become a major player in sports rights.